Apache's 3100 PSI pressure washer hose with XtremeFlex technology combines flexibility, durability, and reduced weight. Engineered as a hybrid polymer, it combines the best qualities of urethane and rubber. XtremeFlex stays flexible when pressurized and offers minimal coil memory when depressurized, allowing the hose to lay flat. Its advanced formulation cover is twice as abrasion resistant as rubber or thermal plastic rubbers and is non-marking. 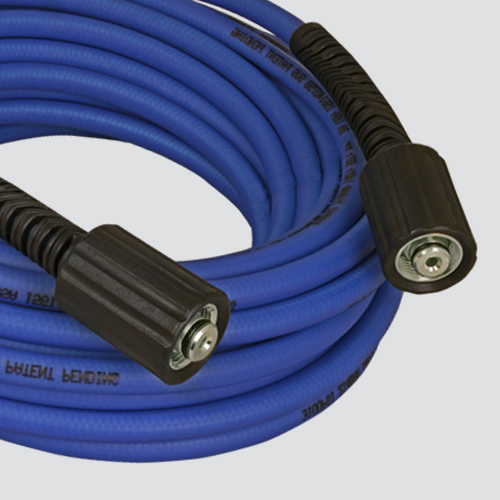 Hose works with both gas and electric pressure washers.